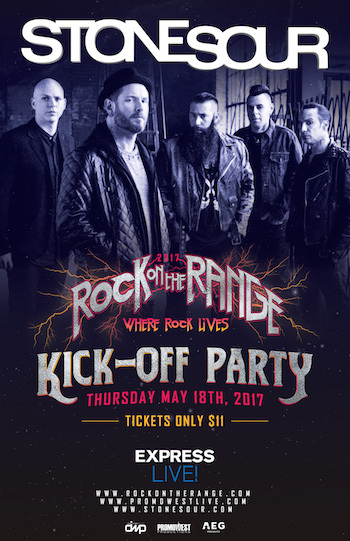 Stone Sour is excited to announce the band's return to the live stage, with an exclusive performance at the Rock On The Range official festival Kick-Off Party on Thursday, May 18 at Express Live! in Columbus, OH. The exclusive set will mark Stone Sour's first show in support of Hydrograd, the brand new album coming this summer. Hydrograd, which the band just completed work on, will be the band's first studio album since the House Of Gold & Bones double album set in 2013. The band is thrilled to be storming back to the live stage with this intimate show. 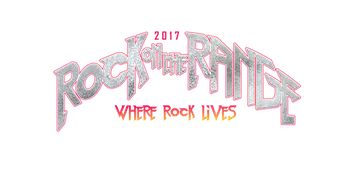 The Rock On The Range Kick-Off Party will launch the weekend for America's premier rock festival, May 19, 20 and 21 at MAPFRE Stadium in Columbus, OH. Tickets for the 11th annual Rock On The Range sold out in record time, just over one month after going on sale, marking the fifth consecutive advance sellout for the festival. The unprecedented Rock On The Range music lineup includes rock legends Metallica, Soundgarden and Korn each headlining one night of America's largest and most-acclaimed rock festival, along with performances from The Offspring, Volbeat, Primus, Bush, +LIVE+, Chevelle, Papa Roach, Seether, Coheed and Cambria, Alter Bridge, The Pretty Reckless, Taking Back Sunday, Of Mice & Men, and many more. The ROTR Rolling Rock Comedy Tent will feature sets from nationally known comedians plus Columbus's top comedy talent. For more information, visit www.RockOnTheRange.com. Stone Sour is known as a truly incendiary live act, appearing on main stages across the world including Download (UK), Soundwave (Australia) Rock In Rio (Brazil) and many more. Stone Sour have multiple Gold albums, and Platinum and Gold singles to their credit, and over a dozen Top Five Active and Alternative Rock singles to date. Rock On The Range is produced by Danny Wimmer Presents, AEG Presents, and MAPFRE Stadium. The festival is supported by rockin' sponsors: Monster Energy, Bud Light, Jack Daniel's and Zippo. These partners, along with many others, will feature interactive experiences, artist meet & greets, and other unique fan engagement opportunities throughout the festival.